The Slurpee and taquito combination is classic, no doubt. 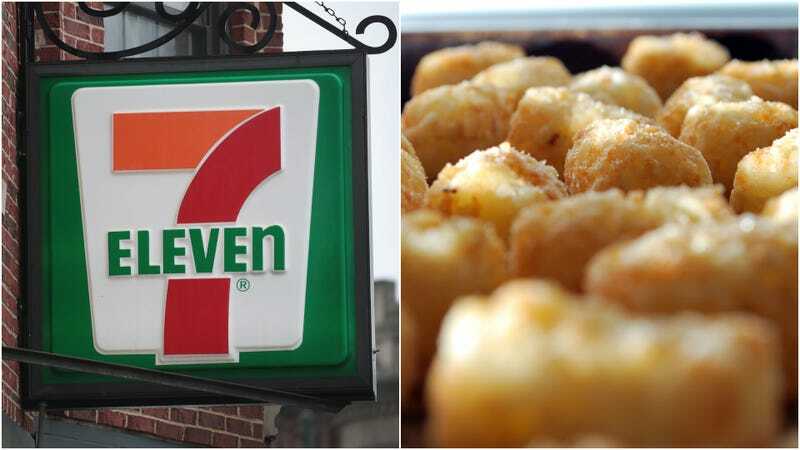 But should you desire yet more convenience store starch-delivery options, 7-Eleven has your back with its latest offering: tots. Nation’s Restaurants News reports that the new “potato tots”—are there other tots?—can be topped with the same condiment bar offerings as the stores’ Big Bite hot dogs and nachos. So no, 7-Eleven didn’t roll out a whole new tater-tot aisle, the chain just started frying up tots and encouraging you to top them over at the ketchup stand. NRN reports that 7-Eleven stores typically offer six-plus topping in addition to ketchup and mustard, which may include chili sauce, melted cheese, pico de gallo, diced onion, sliced jalapeños, green relish, and pickles. A final note: Please don’t forget to grab a plastic fork with which to consume these. It would be completely undignified to slop them into your face with the Slurpee shovel-spoon.